4th International Conference “Civic Actors in Conflict"
Civic Actors in Conflict IV. The conference focuses on authentic communication “face-to-face” as one of possible tools to enhance social dialogue between various groups of people in conflict. to meet everyday heroes, to hear the stories of people whom break down the barriers that’s seem to be unbreakable, to experience interactive workshops, to take part in Open space or Simulation on radicalization and extremism in everyday life. The conference aims together with you to explore and test various techniques and methods of sensitising depolarisation of our societies „Face-to- Face“. Our intention is to reflect the need for active change of public dialogue in a way that enables our society to see the changing realities in value-based conflicts. “Face-to-Face” communication as one of possible tools to reduce the gaps in the polarised societies. What are the solutions? What are the right tools? Dining together? Small format public discussion or huge town hall meetings? 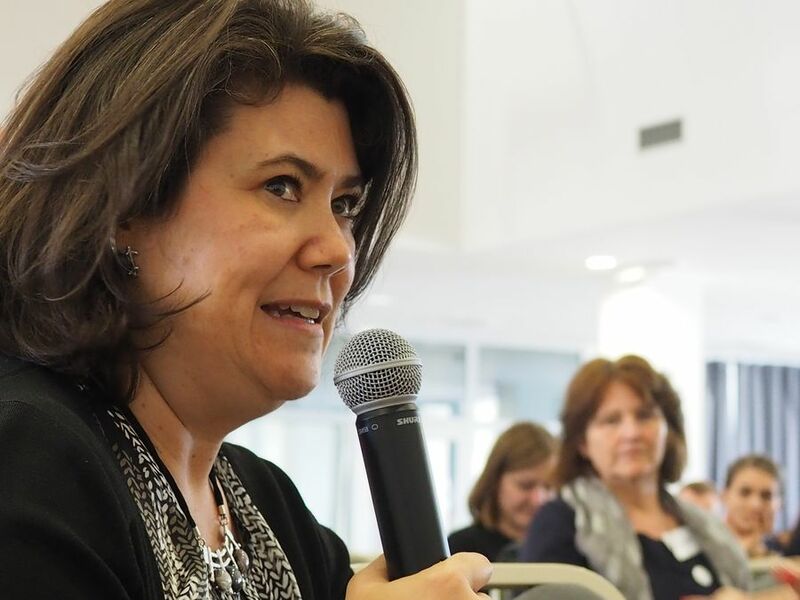 Get inspired by the speakers at Face To Face conference. Interested in more? Check out our conference agenda. Here is a general overview of the conference schedule and offerings. Who are the speakers we are inviting for the conference? They are Everyday heroes - people, often invisible to public eye, but active in everyday life and essential for building up face-to- face relationship and increasing of tolerance for differing values and opinions through providing examples and role models. In the panel discussion "Talking with my enemy" we invite individuals/ representatives of the groups who dared to face the very people that threaten their own existence or value. Want to know more? Click on the picture of a particular speaker to find out more information. How was the conference Face To Face 2018? Check out for more photos here. Aktuality: Keď mladí vidia, že niekto páli Korán, pýtajú sa ma: Máme sa pomstiť? The Slovak Spectator: Rada z Maďarska: Nedovoľte, aby vás volali Sorosovými pešiakmi"
Lora Fileva, Dnevnik.bg: Как един чернокож извади над 200 души от "Ку Клукс Клан"
Panelists: people, often invisible to public eye, but active in everyday life and essential for building up face-to- face relationship and increasing of tolerance for differing values and opinions through providing examples and role models. Andrei M. Georgescu will share his experience in leading the network of social economy enterprises MBQ [Mesteshukar ButiQ], bringing new meaning to traditional Roma crafts and generating significant income for vulnerable Roma communities. 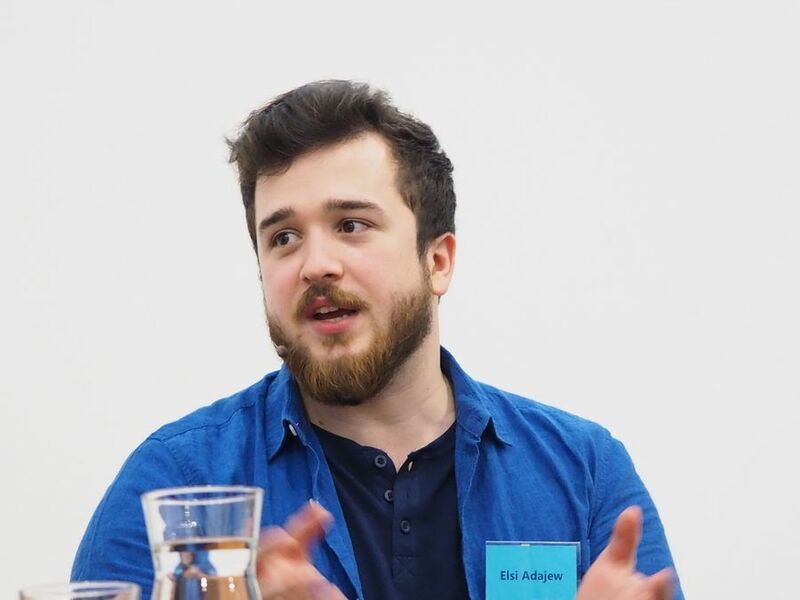 Elsi Adajew will talk about his own Chechnyan refugee experience, about Islam, integration, living in Poland and helping people living in refugee centers. Timea Kiss-Lukasik is a social worker, firstline practitioner of the Radicalisation Awareness Network, storyteller. She will be talking about of her own recovery from drug addiction and her mission with teenager drug-users, which is a quite new field in addiction treatment, but there are “good practices” already. Panelists: individuals/groups who dared to face the very people that threaten their own existence/value, break down the barriers that’s seem to be unbreakable. 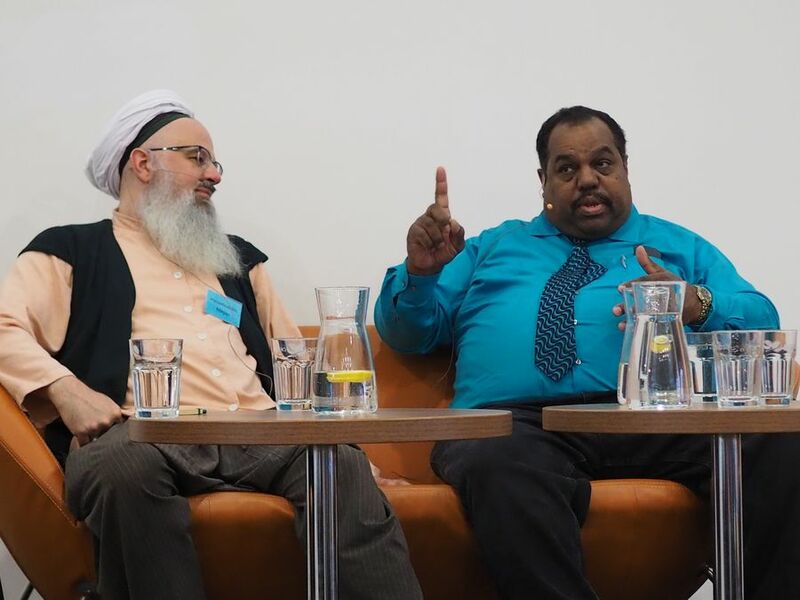 Daryl Davis will be talking about his approach of meeting the people who hate him even though they don´t know him in panel “Talking to my enemy”. He will share his methodology and experience he gained in over three decades of meeting the members of the KKK. 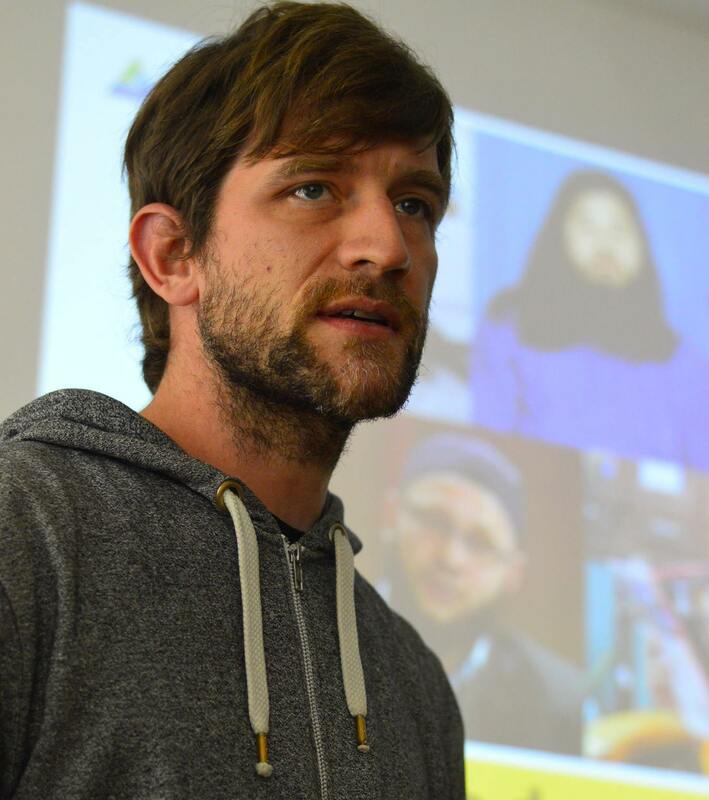 Husamuddin Meyer - will share his experience with helping to improve inmates' personal conditions based on religious basis to prevent them from falling into traps of extremist ideologies. Besides the prison work he will be talking about his awareness projects with Imams and young muslims in mosques. In his presentation Tomáš Lindner will bring us closer to the minds of Europeans (and their relatives), who converted to Islam and radicalised to become jihadists. He will talk about the European counter-measures and will present some inspiring approaches. Together with his colleague Ondrej Kundra they have visited six European countries and talked to over 70 various experts in the field, policemen, imams, mothers of the jihadists and other relevant people who have a direct experience with the issue. They recently (2017) published a book “My son terrorist. How are the European jihadists born?”. During this workshop Otto Kamsteeg will explain the Polarisation Model of Bart Brandsma. It is about the three basic laws of polarization, the five roles (pusher, joiner, the silent, bridge bilder and scapegoat) people play in a situation of polarization and the four game changers that help to focus on the silent in the middle. After explaining the model, he will ask participant to reflect on their own (professional) experiences and some interaction can take place. New-Bridge Integrated College is an integrated all-ability school welcoming children of every creed, culture, class and gender. New-Bridge Community Relations Equality and Diversity team (CRED) has worked collaboratively with teachers to develop a whole school methodology for Teaching Controversial Issues and this work has been highlighted in a case study by the Northern Ireland Council for Education (CCEA). It is this approach that has led to the college being awarded the Excellence in Integrated Education Award by the Northern Ireland Council for Integrated Education (NICIE) and has allowed the college to show parents and the wider school community the ‘added value’ offered to their pupils through education at New-Bridge. This award is an endorsement of the college’s exemplary integrated ethos, which is completely infused in its teaching and learning, management, governance and most importantly, relationships. As a school for all the family, the college enjoys a special relationship with the local community and strives to set a positive example of peace and respect for others. The educational, emotional and social development of its children is at the heart of New-Bridge Integrated College. “Art on the Streets” is a 3 hour workshop based on the Youth Educational Forum’s experience in using artistic tools to deal with prejudice and discrimination. Through learning by examples of previous actions and setting an environment for mutual cooperation the participants will have the opportunity to explore, learn and create art with a socially relevant topic together. The workshop will offer the participants to engage in practically learning the stencil technique used for motivational and positive messages found in public space, maybe create a short performance or a street action, or even create a huge board game that can be played outdoors. Despite learning the technical aspects of using a few artistic tools as a form of youth activism, the workshop will provide knowledge in concept development and open communication. The workshop participants will present their workshop outcomes during the evening program. Maximum 20 participants. In this workshop presentation Daryl will talk more deeply about his personal experience when facing the members of the KKK face to face. Davis recounted his experiences in his 1998 book, Klan-destine Relationships: A Black Man's Odyssey in the Ku Klux Klan. This workshop seeks to create a unique opportunity for members from different faith communities to meet and share stories and aspirations in a spirit of friendship and faith. The theme of the workshop is: ‘Local Inter-Faith dialogue and its role in creating inclusive communities where all belong and contribute’. Underlying key issues throughout the course of the workshop may include: The role of faith in the public square, The role of faith in shaping identities and inclusive communities”, "Working with each other and challenges of speaking to one another". Acquiring first-hand experience of the Christian-LGBT debate the participants will learn: how to engage in communication with members of opposing groups; how to maintain a productive dialogue through nonviolent communication methods; how to avoid the most common pitfalls of the LGBT-Christian discussion. Radicalization and extremism in everyday life: What to do when extremist groups start to get public support, because they exploit popular topics and act as saviors offering easy solutions? The aim of the simulation is to foster the participants' awareness for responses to the current increase of extremism in public spaces at two levels: as a strategic response to the situation involving a wider range of actors and as a prompt reaction to a suddenly changing situation. The simulation offers the space to try various methods to mitigate hate and violent behaviour, from facilitation skills to different communication techniques and strategies. We will experience a multi-stakeholder meeting based on a real situation that occurred in Slovakia as a consequence of an agreement between the Slovak and Austrian governments, in which Slovakia offered temporary accommodation for around 500 refugees who applied for asylum in Austria. This has stirred a chain of reactions in the public including a local referendum and a neo-nazi march in the town that was supposed to host the asylum seekers. How to react effectively in such situations? Experts from Slovakia and Germany will facilitate the group through the process. Maximum number of participants for the simulation is 20. Half day we will discuss in the large group of 60 people participating in the conference about the issues of increasing polarization in society and the importance of the bridging the bubbles in divided society and also about the renewal of direct personal natural discussion „face to face“ in communities. The Open Space works best when the issues discussed and solved are complex, the people and ideas involved are diverse, the passion for resolution (and potential for conflict) is high, and the terms for solution are urgent. During the free liquid discussions we expect passion bounded by responsibility, the energy of self-organization and peaceful spirit. Participants will be moving the whole time and contribute with ideas — when and where it’s needed most. Open Space is known for its apparent lack of structure and welcoming of surprises. At the same time it turns out that it is very structured. Participants will have the full freedom to select the topics and the deliberating subgroups based on their personal preference. We expect that the output will be robust and durable. The result and the main ideas from discussion will be documented and accessible for participants after the event. Communities with meaningful human connections might be the hoped-for solution to the growing alienation among neighbors and community members, the isolation and loneliness of the elderly, or the radicalism among youth. Communities have been repeatedly shown to have their benefits to well-being of individuals, cohesion within society, and the rise of social capital in a way that neither market economy nor government policies can achieve. In the two morning sessions we will explore both the potential and the obstacles faced by communities today, share the case studies of panelists – community leaders from Slovakia and Czech Republic – and analyze how the combination of face-to-face communication and online interaction helps build communities faster than ever before. We will also introduce a new how-to handbook on community building with case studies from several European countries. Drawing upon the experience from a joint Czech-Slovak youth programme Community Building Lab, we will also address the interplay of interests and conflicts of values within and between communities. The workshop will focus on the method of “Creative Discourse Transformation” – a method that identifies windows of opportunities in the realm between arts and politics, between ratio and emotions, between facts and fiction. We have developed the method for the theatre meeting “Undiscovered Neighbours”. The theatre meeting was taking place between the 1st and 10th November 2016 – 5 years after the crimes of the right-wing terrorist group “National Society Unterground” (NSU) were discovered. Currently, we use the method for our new arts project to counteract right-wing populism in Europe. The aim of the method is to create creative spaces for action that connect key actors from the fields of culture, civil society, science and politics. The workshop will give an overview on different layers of the method and provides space to translate it into one`s own context. What brought people to the streets of Slovakia and of Hungary? Is it possible to manifest values of respect, dialogue and fairness through public protests? How to keep the demonstration decent? What can be achieved and what not through public protest? What should be the follow up process in order to maintain the public support and accumulated energy? How not to lose it? What scares the organizers? The organisers of the recent mass demonstrations in Slovakia and an experienced organiser of civic protests from Hungary will share their experience during this panel. Daryl grew up to be R&B and blues musician and it was the love for the same music that first connected him with a member of a Ku Klux Klan (KKK), the white supremacist and racist organisation. Davis eventually went on to befriend over 20 members of the KKK, and claims to have been directly responsible for between 40 and 60, and indirectly over 200 people leaving the Klan. Today, Daryl owns numerous Klan robes and hoods, given to him by active members who became his friends and renounced the organization. He summed up his advice as: "Establish dialogue. When two enemies are talking, they're not fighting.". Husamuddin Meyer was the first prison Imam in Germany (since 2008). From the beginning he observed the inmates' attraction towards terrorist activities and organisations. He works on a religious basis to help them to improve their personal conditions and not to fall into traps of recruiters as well as to reflect on eventual existing extremist ideologies, e.g. of returnees. Besides the prison works he is running awareness projects with Imams and young muslims in mosques and he is working in the intervention field for Violence Prevention Network e.V. He is of German origin and studied ethnology, islamic science and geography in the 90s in Freiburg/Germany. Husamuddin Meyer will share his experience with helping to improve inmates' personal conditions based on religious basis to prevent them from falling into traps of extremist ideologies. Besides the prison work he will be talking about his awareness projects with Imams and young muslims in mosques. Journalist from respected Czech weekly magazine Respekt where he is leading its foreign news department. In 2009 he won European Young Journalist Award for a reportage about Bulgarian mafia (Sunshine above the sin city) and his article about Rwanda (How is the tiger built) also won a journalist award. Among his favourite topics are Subsaharian Africa, Germany and the relations between rich and poor countries. He mainly enjoys to write long form reportages and enjoys long interviews with experts who bring context and deeper insights into issues that are in the news. Dušan Ondrušek, president of PDCS, is well-known for his outstanding skills and experience in the field of training and consultancy (over 1200 training courses in 40 different countries in CEE region and elsewhere). As a trainer and consultant, he has been focusing primarily on organization development, alternative ways of conflict resolution, international development issues and non-violent communication. Together with Karolína Miková he is one of the Open Space facilitators. Dusan will be also a moderator of the panel Talking with my enemy. Karolina Miková, director of PDCS, studied urban planning at the Faculty of Architecture of the Slovak Technical University in Bratislava and took a one-year study programme at the Institute for Public Studies at the Johns Hopkins University, USA. She completed PhD studies at the Department of Political Science at the Faculty of Philosophy of the Comenius University in Bratislava. Together with Dušan Ondrušek she is one of the Open Space facilitators. Karolína will be also a moderator of the panel Decent Public Protests - Oxymoron or Reality? Andrei is a pragmatic dreamer, and you can see that in his entrepreneurial instinct both in business and in social change. Over the years his work has been focused on youth empowerment for several organizations, such as AIESEC, in Romania, Croatia and Macedonia through fostering leadership experiences and training. He has been fighting against prejudice and discrimination while promoting the Roma cultural heritage through large scale events in all major cities of Romania and even in some European such as Paris and Vienna. He currently leads the network of social economy enterprises MBQ [Mesteshukar ButiQ], bringing new meaning to traditional Roma crafts and generating significant income for vulnerable Roma communities. Working with international product designers MBQ has taken traditionally handcrafted products to some of Europe’s greatest design events in Vienna, Stockholm and, of course, Bucharest. In “Everyday Heroes” panel discussion Andrei will share his experience in leading the network of social economy enterprises MBQ [Mesteshukar ButiQ], bringing new meaning to traditional Roma crafts and generating significant income for vulnerable Roma communities. Elsi Adajew, together with his family, ran away from his homeland Chechnya to Poland twice, in 1994 and 1999. Since third of February 2000 he’s been living in Poland permanently. His expierience is 12 years of advocating for Polish-Chechen integration, 7 of those first as a member of his late father’s foundation, formerly known as Refugee Self-Help Centre Sintar, and now as a President of Issa Adajew’s Sintar Foundation. On many occasions he held meetings and participated in cultural events where he spoke about Chechenya, Islam, integration, living in Poland, his own refugee experiences and answered the audience’s questions. He also participated in discussing abovemnetioned topics within various newspapers (Gazeta Wyborcza, Gazeta, Dziennik, Duży Format and others), radio auditions/broadcasts Radio TOK FM, Polskie Radio Jedynka, Radio Warszawa, RDC and others) and television programmes (TVN 24, Polsat, TVP 1, TVP Info). He cooperated with numerous NGOs for the sake of helping people living in refugee centres and schools attended by refugee children. Elsi recently launched a YouTube channel, through which he wants to share his experiences of being a refugee, his thoughts and positive stories and history of foreigners living in Poland. Timea Kiss-Lukasik is a social worker, firstline practitioner of the Radicalisation Awareness Network, storyteller. She shares her recovery story with very deep sincerity, as well as her 15 years long experience as a mentor in therapeutic communities. She is leader of theatre-therapy workshops, working in adventure-therapy (rock-climbing) and teaches about it on the Special Education Faculty of ELTE University, Budapest, Hungary. She will be talking in “Everyday heroes” panel about of her own recovery from drug addiction and her mission with teenager drug-users, which is a quite new field in addiction treatment, but there are “good practices” already. Bálint Szabadkai is currently working as a commercial consultant at a Hungarian medium-sized firm offering partners office automation devices, 3D printers and 3D scanners. Bálint has always been involved with volunteer work organising summer camps for kids, reporting for a Christian youth magazine or helping refugees with food and shelter. He graduated at ELTE University with a political analyst major and since then acquired a degree in mental health at Semmelweiss University. In his free time he enjoys contact improvisation and acting. Father of a 5 month-old, one of the organisers of the “Christians for gays” movement. In the workshop "Game of peacebuilders in the culture war between LGBT and christian communities" participants will learn: how to engage in communication with members of opposing groups; how to maintain a productive dialogue through nonviolent communication methods; how to avoid the most common pitfalls of the LGBT-Christian discussion. Andras Papp, software engineer and manager by day, father of a 6 year- old, a christian since his childhood, also one of the founders and organisers of the “Christians for gays” movement and volunteer of an NGO that helps people with housing problems. Over the course of 15 years, Sanja Stefanovic has been actively avoiding responsibilities outside the civil society. Her main focus has been and still is non – ormal education and personal growth. Combining her educational background (Psychology and psychotherapy) and her desire to have an active and fullfiling life, brought her to Youth Educational Forum where she works as a coordinator of the program Youth Activism. The last 7 years, she has been working closely with 5 Media and Art youth clubs, she is a trainer of various subjects concerning youngsters (Creative and online activism, Leadership, motivation and team work, Cyber bullying, Event organization and management etc. ), but also the wider public. She has organized multiple large scale public events, workshops and trainings and coordinated different projects. Her personal favorites are YEFs summer academies, the conference Engage and the exhibitions she organizes with club members. As a coordinator of the project “Historija, Istorija, Povjest – Lessons for today” she experienced the possibility to merge art and culture with history with the sole purpose of greater understanding of prejudice and propaganda. She enjoys volunteering, and providing volunteering possibilities for other people. She enjoys being physically active less, but does it anyway. Together with Petar Antevski they have prepared a workshop “Art on the Streets”. It is a 3 hour workshop based on the Youth Educational Forum’s experience in using artistic tools to deal with prejudice and discrimination. Through learning by examples of previous actions and setting an environment for mutual cooperation the participants will have the opportunity to explore, learn and create art with a socially relevant topic together. Defining himself as “a jack of many trades, but master of none”, Petar Antevski is currently studying Film and Theatre Production at the Faculty of Dramatic Arts - Skopje. Although engaged in his formal education he has been an active member of Youth Educational Forum for more than 9 years. As a part of the Youth Activism Program of YEF he has worked as an activity coordinator of the Media and Art youth clubs, mainly focusing on production and organisation of 6 theatre plays with an amateur theatre group called Kunstwerkstatt. Petar has worked on street art initiatives of YEF and was the project coordinator of “In Refugees’ Shoes – Youth Solidarity Through Media/Art” where he managed to combine his art knowledge with his desire to change the world. In addition, he was a radio host for more than 4 years which was followed by his one year work as a Program Coordinator of Radio MOF. Nowadays he does a little graphic design on the side to pay the bills and dwells in reading plays, management theories and binge watching Netflix series. When he’s not the usual couch potato millennial he tends to find various creative ways to intertwine artistic tools as an expression of youth activism. Together with Sanja Stefanovic they have prepared a workshop “Art on the Streets”. It is a 3 hour workshop based on the Youth Educational Forum’s experience in using artistic tools to deal with prejudice and discrimination. Through learning by examples of previous actions and setting an environment for mutual cooperation the participants will have the opportunity to explore, learn and create art with a socially relevant topic together. During his workshop Otto will explain the Polarisation Model of Bart Brandsma. It is about the three basic laws of polarization, the five roles (pusher, joiner, the silent, bridge bilder and scapegoat) people play in a situation of polarization and the four game changers that help to focus on the silent in the middle. After explaining the model, he will ask participant to reflect on their own (professional) experiences and some interaction can take place. Eimear McKeown is Integrated Coordinator and Head of Art at New-Bridge Integrated College. Her role is to coordinate projects that reflect the ethos of integrated education in the college and local community. She takes a lead role within the CRED committee in mapping opportunities across all subjects and engaging with external agencies. As Head of Art she has been instrumental in developing a thriving creative department and her work with community groups has led to an interest in the impact of art as a tool for mediation. She is a member of the Association for Arts and Design Education and has exhibited locally and nationally. Her primary interest as a teacher is encourage creative critical thinkers who may respond to the real world with curiosity, respect and enthusiasm. Anne Anderson has 30 years teaching experience and is presently Principal of New-Bridge Integrated College. She has led the introduction of restorative practices to develop a self-reflective approach to resolving conflict in school. Anne Anderson established a CRED team (Community Relations Equality and Diversity) within the school 6 years ago with a focus on revisiting core principles as an integrated school. She was recently involved with the British Council International Study programme in Vienna, co-ordinating with policy makers and other principals throughout the UK. Anne is currently Chair of the Area Learning Community of 7 post primary schools. New-Bridge Integrated college was Awarded the Evens Foundation Peace Education Prize in 2017 for its innovative practices in promoting Peace Education. Suzanne Harrison has 25 years teaching experience and is presently Head of History, Head of Year and Shared Education Co-ordinator at New-Bridge Integrated College. As Head of History she leads a forward thinking department which takes a lead role in the shared education project with local schools in the community and is a valued member of the School’s CRED team. A Head of Year she is responsible for the pastoral care of 100 students and her role supports the social, emotional and educational development of young people. Suzanne has been recently appointed Principal Examiner for GCSE History for the Northern Ireland Exam Board (CCEA). Adrian Cristea has a background in sociology and social work. He is currently the Executive Officer of Dublin City Interfaith Forum. Adrian holds a Masters Degree from Trinity College Dublin. He played a key role in establishing the first official Interfaith Forum in Ireland launched in January 2012. He is passionately committed to the achievement of racial justice and interfaith dialogue. His interests include human rights, interculturalism, inter-religious dialogue and activity, and the role of religion in integration and social cohesion. Adrian together with Hajar Al Kaddo prepared a workshop which seeks to create a unique opportunity for members from different faith communities to meet and share stories and aspirations in a spirit of friendship and faith. The theme of the workshop is: ‘Local Inter-Faith dialogue and its role in creating inclusive communities where all belong and contribute’. Underlying key issues throughout the course of the workshop may include: The role of faith in the public square, The role of faith in shaping identities and inclusive communities”, "Working with each other and challenges of speaking to one another". Hajar together with Adrian Cristea prepared a workshop which seeks to create a unique opportunity for members from different faith communities to meet and share stories and aspirations in a spirit of friendship and faith. The theme of the workshop is: ‘Local Inter-Faith dialogue and its role in creating inclusive communities where all belong and contribute’. Underlying key issues throughout the course of the workshop may include: The role of faith in the public square, The role of faith in shaping identities and inclusive communities”, "Working with each other and challenges of speaking to one another". For the past two years Shirley has been exhibiting a unique art project in co-operation with different artists around the world. They created a dining table and painted portraits of on all the tableware. This is a bridge for peace and women empowerment, calling women to join forces and solve conflicts together in a feminine approach. The "Dinner with Friends" art project was created with two Iranian women artists, and calls women to solve the conflict in the Middle East. This project is traveling the world and has already been seen by thousands of art lovers in NYC, Toronto, New Delhi, Chandigarh (India), Leiden (Holland), London and Israel. Miroslav Hraško is 27 years old of Slovak nationality from the Autonomous Region of Vojvodina in Serbia. Miroslav is a beekeeper but also the youngest representative of naive art who, along with 62 other authors, is on the list of Slovak naive art from Serbian Vojvodina, which is about to become part of Unesco's intangible cultural heritage. Miroslav Hraško has been painting with oil for about 7 years and has exhibited at a number of domestic and foreign exhibitions. His style is very unique compared to the rest of naive art from Vojvodina. From classical inspiration he moved to "naive minimalism". Miroslav Hraško describes his as a view from a distance, because from a distance we can better recognize the essence of things. However, we usually react opposite in everyday life and if we want to see something better, we usually try to get closer. Katarína Bajzíková has been working as a programme coordinator and consultant in PDCS since 2011. She focuses on topics of global education, development and security in Sub-Saharan Africa, development cooperation in V4 context, post-conflict peacebuilding and Society Transformation in V4 and MENA region. Katarína together with Oliver Kossack and Marta Králiková will lead a simulation on Radicalization and extremism in everyday life: What to do when extremist groups start to get public support, because they exploit popular topics and act as saviors offering easy solutions? Oliver Kossack worked at European University Viadrina as lecturer and researcher at the Chair of Comparative Politics, focusing on right-wing radicalism in Central and Eastern Europe. Since January 2015, he works as a project manager at Cultures Interactive e.V. 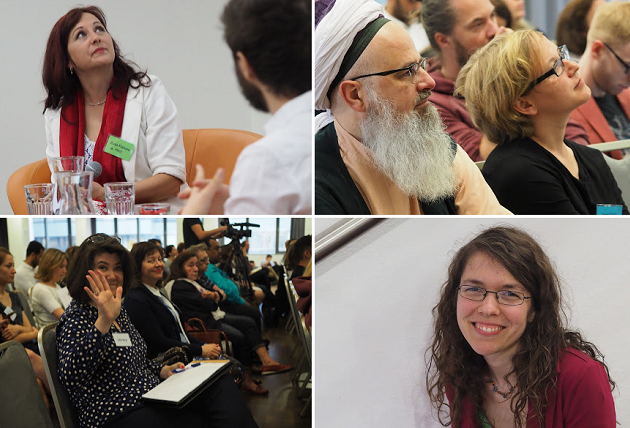 in the field of prevention of right-wing extremism, hate crime and group hatred in Germany and (Eastern) Europe and facilitates seminars and vocational trainings for prevention practitioners and students of social work or similar fields. Oliver together with Marta Králiková and Katarína Bajzíková will lead a simulation on Radicalization and extremism in everyday life: What to do when extremist groups start to get public support, because they exploit popular topics and act as saviors offering easy solutions? With one foot in academia and another in civic sector, Marta enjoys research for her PhD thesis on the rule of law reforms in Ukraine (Department of Political Science, Comenius University) and cooperation on projects focused on development, human rights and non-formal education (People in Need, PDCS, GLEN, Mareena). She has experience with facilitating trainings for young people and volunteers on topics of global education, inclusion and diversity. Recently, she has been coordinating the joint project of the Department of Political Science and the daily Dennik N ‘Common Country’ that promotes values of tolerance and democracy through non-formal discussions with young students. Marta together with Oliver Kossack and Katarína Bajzíková will lead a simulation on Radicalization and extremism in everyday life: What to do when extremist groups start to get public support, because they exploit popular topics and act as saviors offering easy solutions? Zuza Fialová, trainer, researcher and consultant in topics related to democratic transformation, conflict management , human rights, and sustainable development. She earned her MA from sociology at the Commenius University in Bratislava (1995). PhD. studies were accomplished in Warsaw – Institute of Political studies (1999). She has been working for variety of international organizations (OSCE, NATO), national human rights and advocacy organizations, universities and government bodies. Her list of professional publications contains more than 40 positions. She has been working in over 25 countries of Europe and Asia, including Afghanistan, Poland, or Russia. 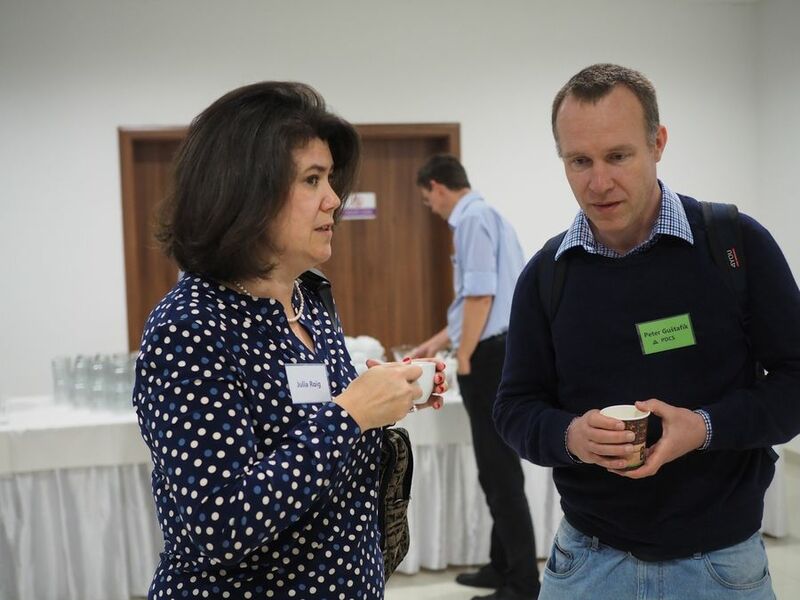 Currently she is conducting projects of supporting local democracy in Ukraine. She is one of the authors of the study Value-Based Conflicts in the Regions between the Oder and the Danube. She will be a moderator of the panel Everyday Heroes. Lukáš Zorád has been working in PDCS since 2016 as a programme coordinator of the European Network for Non-violence and Dialogue (ENND). He is an ecologist, geographer, experienced lecturer and main co-organiser of this conference. He previously worked in People in Need organization as a head of mission for development cooperation programme in Kenya with focus on livelihood strategies, nature conservation and food security. You will meet him throughout the conference as a moderator. Katarína Nagy Pázmány is one of the organizers of the protests and co-initiator of the platform For Decent Slovakia. She studied psychology at Comenius University in Slovakia and currently she is in psychotherapeutic training of logotherapy and existential analysis. 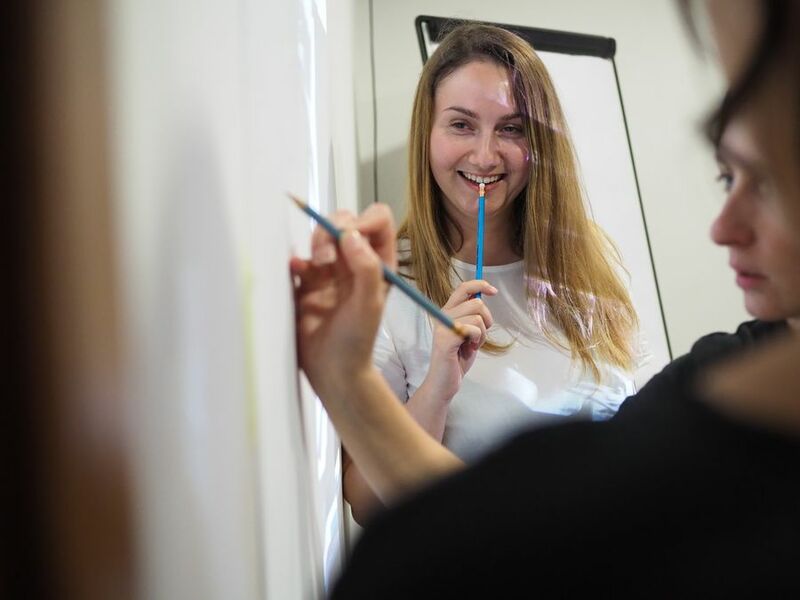 She works with teachers in Komensky institute, which aims to point at important problems in Slovak educational system and show possible ways of their solutions. From 2015 she has worked as junior trainer in PDCS. In the same year she founded a social enterprise with deaf community. Areas, which interest her in both, professional and personal level, are: civic engagement, psychotherapy, education and methods in social work with segregated communities. She is expecting her daughter to be born in May. Katarína is one of the speakers at panel discussion "Decent Public Protests - Oxymoron or Reality?" Márton Gulyás is theatre and film producer/director. Host of Hungary’s biggest political youtube channel, called: slejm. Founder and main activist of Country For All, a movement fighting for a reform of the Hungarian election system, also a main educator of “tactical voting” for voters. Márton has also organized several demonstrations, civil-disobedience interventions and other public-political events. Márton is one of the speakers at panel discussion "Decent Public Protests - Oxymoron or Reality?" Karolína Farská is one of the organizers of the protests and co-initiator of the platform For Decent Slovakia. Karolina is a student at secondary grammar school in Dubnica nad Vahom, she graduates this year. She is a co-founder of the initiative Velky protikorupcny pochod – Anticorruption marches. Last year this initiative organized a few crusades and marcher in Slovak and Czech cities. Its main goal was to support active citizenship and retrieve trust in public institutions. She worked as volunteer for UNICEF for half a year, where her job was to translate international materials. As a volunteer she was a part of SOVA organization for one year. There she taught seniors foreign languages in a local Retirement home. Karolina is two years active in Slovak debating association. She is a debate coach and train students for debate competitions. Her plan is going to university to study European studies and her main professional goal is to contribute to building better, fair, and decent Slovakia. Karolína is one of the speakers at panel discussion "Decent Public Protests - Oxymoron or Reality?" Jane Viola Felber was born in Karl-Marx-Stadt, now Chemnitz. She studied Peace and Conflict Studies, Philosophy, Cultural and Political Studies in Leipzig and Marburg. Currently, she is the project leader of “new undisc_vered narratives”, an art project counteracting right-wing populism in Europe. Before she has been working as a mobile consultant against right-wing extremism in Saxony, as peace consultant in Kosovo, and for the UN and a youth centre in Bosnia and Herzegovina. She is member of the expert pool at the Centre for International Peace Operations. Besides she is also lecturing at the Centre for Conflict Studies in Marburg and the Institute for European Studies at the University in Chemnitz. She will be one of the speakers in the Community Building Lab session. Her workshop "Hacking the Policy Cycle through Arts: The Method of Creative Discourse Transformation" will focus on the method of “Creative Discourse Transformation” – a method that identifies windows of opportunities in the realm between arts and politics, between ratio and emotions, between facts and fiction. We have developed the method for the theatre meeting “Undiscovered Neighbours”. The theatre meeting was taking place between the 1st and 10th November 2016 – 5 years after the crimes of the right-wing terrorist group “National Society Unterground” (NSU) were discovered. Currently, we use the method for our new arts project to counteract right-wing populism in Europe. The aim of the method is to create creative spaces for action that connect key actors from the fields of culture, civil society, science and politics. The workshop will give an overview on different layers of the method and provides space to translate it into one`s own context. 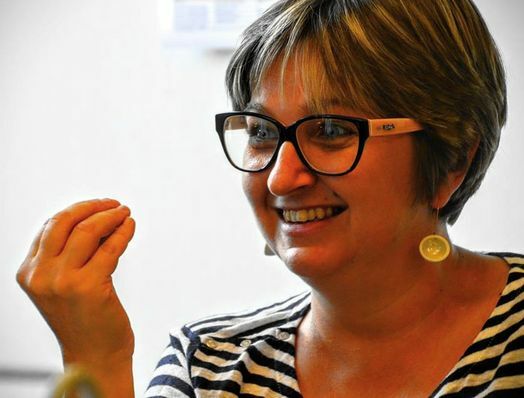 Marianna Potanovičová is a third sector activist from Bardejov, member of Different - civic association and statutory deputy of Youth Council of Prešov Region, where she coordinates the team of Student Parliament of Prešov Self-Governing Region. In 2017 she managed a crowdfunding campaign, together with her colleague, to raise money for creation of regular space for cultural and community activities in Bardejov. Together with other active people from Bardejov, they voluntaringly renovated the Thick Bastion, beautiful historical building written in UNESCO, in order to create an alternative space, cultural-community center – Bašta (Bastion). Marianna is a freelancer aimed on project management, event management and she is also soft-skills lecturer. In Bašta – cultural-community center she does PR, writes project proposals and also coordinates literary, travelling and exhibition events. Marianna will share her experience in Community Building Lab session. Marek Adamov is an active cultural personality. Under his hands, ordinary places change into space where they breathe by culture, art and human creativity. He is the founder of cultural centre Žilina-Záriečie Station (since 2002). Today, around 300 events are held in the building and about 30 000 viewers visit it annually. Concerts, performances, film screenings, workshops, discussions, exhibitions, and larger festivals such as the summer theatre festival, and many more are organized here. Another unique Marek´s project is the reconstruction of the former synagogue in Žilina. Together with his colleagues, he transformed the synagogue into a Kunsthalle - a gallery for fine arts. Marek Adamov is one of the guest speakers in Community Building Lab session. Peter Guštafík has 17 years of experience working with civil society organizations as a consultant, trainer, facilitator. He has been active in Slovakia and Central and Southern Europe, with additional experience in the MENA region and the Caucasus region, being involved in democracy building programs as a consultant on citizen engagement, cross-sector cooperation, leadership, and fundraising. He holds a Bachelor's degree in Mathematics from the Cornell University, USA and has co-authored several publications on CSO development, with special focus on financial sustainability. Peter is leading the Community Building Lab session.